Following the cool weather in Germany, we jumped right back into the heat in Barcelona, Spain. Luckily, la playa wasn't too far. On our first night, we caught the last evening bus tour of the week and were taken to a beautiful light, music, and water show. We were amazed at the sheer amount of water in this fountain! In the next few days, we traveled the city on the roof of a double decker bus, getting off at interesting locations. 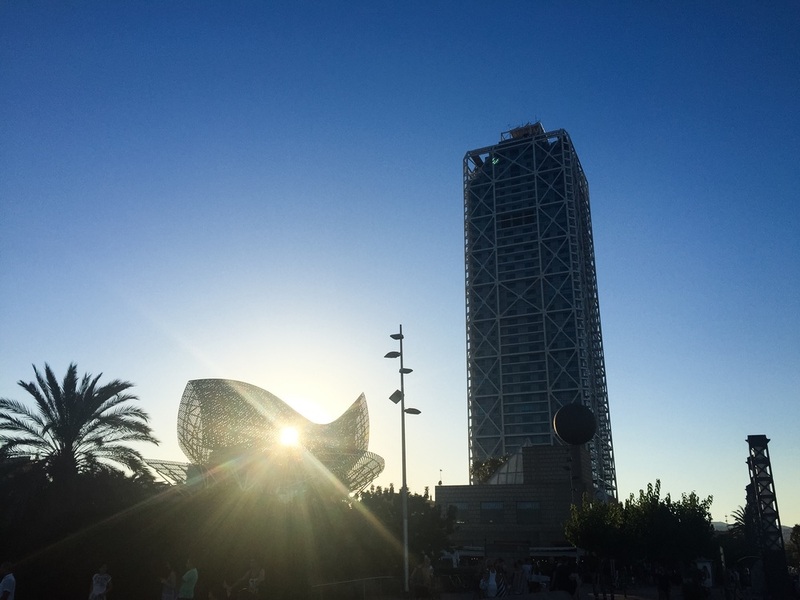 We visited the Sagrada Familia, Gaudi's Park Guëll, the opera theater, and more. However, the most amazing part of this city was the food. We tried so many different tapas and not a single one disappointed. 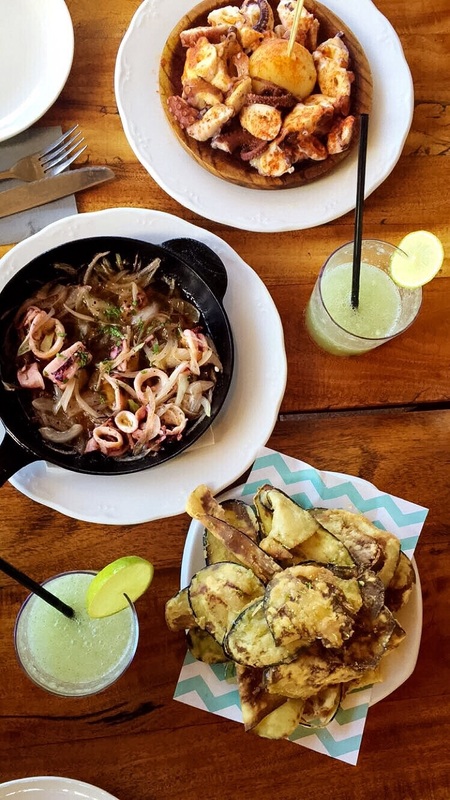 Once we found La Boqueria (the food market off of La Rambla), we couldn't get enough-- fresh exotic juice for just 1€, seafood caught the morning of, and Spanish desserts. We were sad to leave but are looking forward to our two other stops in Spain!